How Do Self Storage Facilities Ensure Safety Of Children? Homes that hold lot of tools and sharp equipment are liable to cause injuries especially to children and small babies. What’s the solution? Self storage facilities. They help prevent mishaps by ensuring the following things. The safety of your family is important and for this reason, it is not a good idea to have tools and other renovation related equipments in the home. This is especially true if there are small children in the house. If you have tools such as drills, saws, ladders and other power tools lying around, consider keeping them in a storage facility. This will reduce risks of accidents and injuries. Bonus tip- Most people like the idea of owning ski boats, vintage cars, canoes, etc. If you do not have enough room for these items or if you are looking to provide protection against the weather conditions, then renting a self storage unit can be the best choice for you. Many people use self storage facilities for peace of mind. They make consumers feel secure by storing their valuable or sentimental belongings securely and safely. 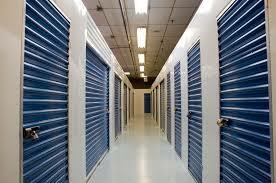 In a storage facility, you will find a secure environment which is clean and dry. Our units of self storage in Dubai are protected with various security systems ranging from 24-hour guard and lock protection to CCTV security.